Your pet’s health is our veterinarian’s priority. That is why our Veterinary Clinic in Guelph recommends Royal Canin diets. 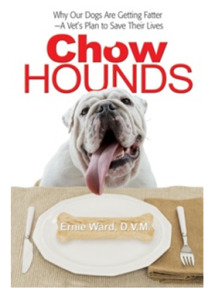 Our favourite part of the book is Ward’s description of the calories that we give our dogs related to the treats we eat. 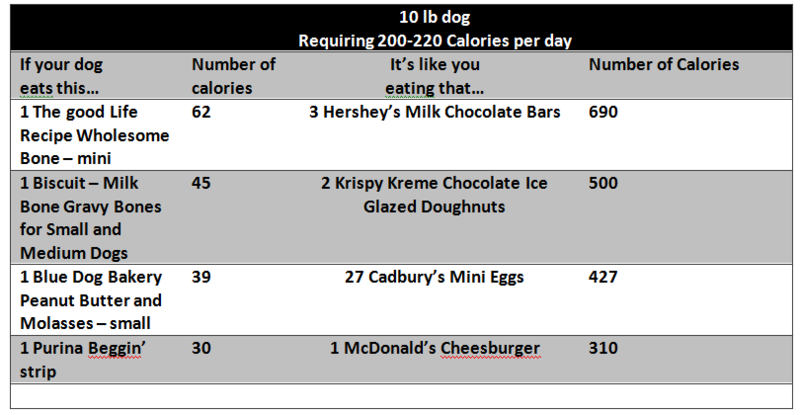 The chart below shows that if you have a 10lb/4.5kg dog and you give it one of the following treats what that would look like if we ate the equivalent number of calories. If we ate this many calories on top of our daily allotment, well I guess we can all see how weight is gained. This is a great reminder to choose wisely even when giving a small treat.